Designation: Beijing Shijitan Hospital affiliated to Capital Medical University, P.R. China. 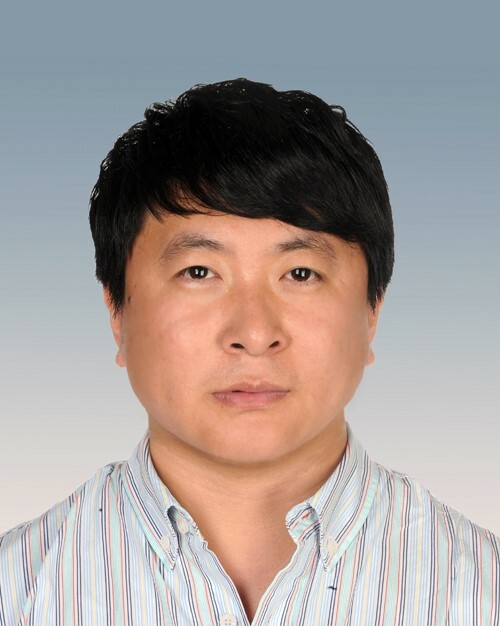 Biography: Since 2005: Resident Physician, Department of Interventional Therapy, Beijing Shijitan Hospital affiliated to Capital Medical University, BeiJing, China. Since 2011: Attending Physician, Department of Interventional Therapy, Beijing Shijitan Hospital affiliated to Capital Medical University, BeiJing, China. Since 2016: Associate chief Physician, Department of Interventional Therapy, Beijing Shijitan Hospital affiliated to Capital Medical University, BeiJing, China Since 08/2017: Visiting Scholar, The Cell and Cancer Biology Branch, Center for Cancer Research, National Cancer Institute, National Institutes of Health, USA. 1. Hongwei Zhao, Fuquan Liu, Zhendong Yue, Lei Wang,et al. Clinical efficacy of transjugular intrahepatic portosystemic shunt to treat hepatopulmonary syndrome. Medicine.2017 acceped. 2. Zhao H, Liu F, Yue Z, Wang L, Fan Z, He F. Association of hepatic vein Lipiodol tram-track sign during transcatheter arterial chemoembolization with perioperative death. J Int Med Res. 2017 Jun;45 (3):1148-1157. 3.Zhao H, Liu F, Yue Z, Wang L, Fan Z, He F.Transjugular intrahepatic portosystemic shunt for Budd-Chiari syndrome with diffuse occlusion of hepatic veins. Sci Rep. 2016 Nov 2;6:36380. 4.Hong-Wei Zhao, Qi Ruizhao?Yue Zhendong?Wang Lei?Fan Zhenhua?He Fuliang?Li Changqing?Zhao Yun Analysis of Technical difficulties about TIPS in 3367 cases. Chinese Journal of Digestive Surgery. 2016,7:15 (7)?689-695. 5.Hongwei Zhao. et al. Evaluation of Mid- and Long-term Efficacy of Shunt Limiting for Hepatic Myelopathy after Transjugular Intrahepatic Portosystemic Shunt. Clinics and Research in Hepatology and Gastroenterology 40, 440-446 (2016). 6.Hong-Wei Zhao?LIU Fu-quan?YUE Zhen-dong?WANG Lei?Fan Zhenhua. Transjugular intrahepatic portosystemic shunt for chronic portal vein thrombosis and incidence of hepatic encephalopathy .International Journal of Clininal and Experimental Medicine. (2016, accepted). 7. Hongwei Zhao? Liu Fuquan? Yue Zhendong? Wang Lei? Fan Zhenhua? Zhao Mengfei?Dong Chengbin? Li Zhiwei? Yu Lingxiang?Applications of angiography in differential diagnosis of misdiagnosis as Budd-Chiari syndrome of occultconstrictive pericarditis. Chinese Journal of interventional Radiology.2015?3?:119-122. 8. Hongwei Zhao, Yue Zhendong, Wang Lei,,,,, Short- and long-term effects of the transjugular intrahepatic portosystemic shunt on refractory ascites. Chinese Journal of interventional Radiology.2015?3?:135-139. 9.Hongwei Zhao, Fuquan Liu, Zhendong Yue, Lei Wang?zhenhua Fan. Evaluation of mid- and long-term ef?cacy of shunt limiting for hepatic myelopathy after transjugular intrahepatic portosystemic shunt.Clinics and Research in Hepatology and Gastroenterology. 2016, 40 (4): 440-446. 10.Hong-Wei Zhao?LIU Fu quan?YUE Zhen dong?WANG Lei?FAN Zhen hua?DONG Cheng bing. A preliminary study on the occurrence of hepatic encephalopathy after TIPS using covered stent fordifferent types of chronic portal vein thrombosis. J Intervent Radiol 2014, 8 (23): 672-678. 11.Hong-Wei Zhao?LIU Fu quan?YUE Zhen dong?WANG Lei?FAN Zhen hua .The short-to- mid-term blood gas changes after TIPS with the shunting established at different sites of portal vein for the treatment of hepatopulmonary syndrome. J Intervent Radiol 2014, 1 (23): 26-30. 12.Hong-Wei Zhao?LIU Fu quan?YUE Zhen dong?WANG Lei?FAN Zhen hua . Correlation between postoperative sudden death and hepatic vein “lipiodol tram- track sign” occurringin the performance of arterial embolization for liver cancer. J Intervent Radiol 2014, 11 (23): 950-953. 13.Hong-Wei Zhao?LIU Fuquan?QIU Zhendong?WANG Lei?The therapeutic effect of radiofrequency ablation guided by Dyna-CT ?3D technique in treating malignant tumor in pulmonary hilum The Journal of Practical Medicine. 2013,3:29 (5):779-782. 14. Hong-Wei Zhao, LIU Fu-quan, YUE Zhen-dong,WANG Lei. Clinical effects of transjugular interventional stent-shunt therapy in hepatic myelopathy after transjugular intrahepatic portosystemic shunt. Chinese Journal of Radiology. 2013,3:47 (3):239-245. 15. Hong-Wei Zhao?LIU Fu quan?YUE Zhen dong?WANG Lei?FAN Zhen hua. Application of PBL and CBS teaching method in the teaching of interventional radiology.NANFANG MEDICAL EDUCATION.2013,3:28-30. 16.Hong-Wei Zhao?LIU Fu-quan?YUE Zhen-dong?WANG Lei?Interventional treatment of severe portal hypertension due to hepatolenticular degeneration:therapeutic evaluation of 8 cases. J Intervent Radiol. 2011?3:20 (3):224-227. 17. Hong-Wei Zhao?LIU Fu-quan?YUE Zhen-dong?WANG Lei?Fan Zhenhua. Radiofrequency ablation in the treatment of malignant tumor in the first hepatic portal area with Dyna-CT+3D technique. Journal of Practical Radiology. 2011,4:27 (4):607-609. 18.Hong-Wei Zhao?LIU Fu-quan?YUE Zhen-dong?Wang Lei?Clinical application of anticoagulant in the prophylaxis and treatment of shunt stenosis after transjugular intrahepatic portosystemic stent shunt. The Journal of Practical Medicine. 2011,4:27 (8):1365-1367. 19. Hong-Wei Zhao?LIU Fu-quan?YUE Zhen-dong?Wang Lei?The exploration and application of the joint teaching method in the interventional radiology teaching.Chinese Journal For Clinicians. 2017 (7)121-122. 1. Wang Lei?Hong-Wei Zhao, Qi Ruizhao?Yue Zhendong?Fan Zhenhua?He Fuliang? Zhao Yun. Method and safety analysis of interventional Budd Chiari syndrome in 1246 patients. Chinese Journal of Digestive Surgery. 2016,7:15 (7)?702-708. 2. Fan Zhenhua, LIU Fu-quan, YUE Zhen-dong, Hong-Wei Zhao,Wang Lei.Clinical analysis of 38 cases of advanced cervical cancer treated by interventional therapy . Chinese Clinical Doctor. 2016, 44 (6) ?74-76. 3. Fan Zhenhua, LIU Fu-quan, YUE Zhen-dong, Hong-Wei Zhao,Wang Lei.Applicate Oxycodone Hydrochloride Prolonged-release Tablets after transcatheter arterial chemotherapy in primary liver cancer to moderate and severe pain . Chinese Clinical Doctor. 2016, 44 (4) ?77-78. 4. Wang L, He FL, Liu FQ, Yue ZD, Hong-Wei Zhao. Establishment of a hepatic cirrhosis and portal hypertension model by hepatic arterial perfusion with 80% alcohol. World J Gastroenterol. 2015 Aug 28;21 (32):9544-53. 5.Feng Xu?Guosheng Feng?Hongwei Zhao?Fuquan Liu?Lingling Xu?QianWang and Guangyu An. Clinicopathologic Significance and Prognostic Value of B7 Homolog 1 inGastric Cancer A Systematic Reviewand Meta-Analysis. Medicine.2015 Oct; 94 (43):1-7. 6.Feng Xu?Fuquan Liu?Hongwei Zhao?Guangyu An?and Guosheng Feng. Clinicopathologic Significance and Prognostic Value of B7 Homolog 1 in Gastric Cancer: A Systematic Review and Meta-Analysis. Medicine (Baltimore). 2015 Oct;94 (43):1-10. 7.Bin Qiu, Meng-Fei Zhao, Zhen-Dong Yue, Hong-Wei Zhao, Lei Wang, Zhen-Hua Fan, Fu-Liang He, Shan Dai, Jian-Nan Yao, Fu-Quan Liu. World J Gastroenterol. 2015 November 21; 21 (43): 12439-12447. 8. Fu-Liang He, Lei Wang, Hong-Wei Zhao, Zhen-Hua Fan, Meng-Fei Zhao, Shan Dai, Zhen-Dong Yue, Fu-Quan Liu. Transjugular intrahepatic portosystemic shunt for severe jaundice in patients with acute Budd-Chiari syndrome. World J Gastroenterol 2015 February 28; 21 (8): 2413-2418. 9.KUAI Tao, LIU Fu-quan, YUE Zhen-dong, Hong-Wei Zhao,WANG Lei, FANG Zhen-hua, ZHAO Meng-fei, HE Fu-liang, YU Hai-yang .Clinical study of transjugular intrahepatic porto-systemic shunt combined with esophageal varices embolization. Infect Dis Info. 2015October 30:28 (5):293-296 10.Wang Lei?Liu Fuquan?Yue Zhendong?Hong-Wei Zhao. Interventional treatment of stent restenosis or occlusion after transjugularintrahepatic portosystemic shunt. Journal of Capital Medical University.2014,2:35 (1): 136-139. 11.YANG Yongjiu?Hong-Wei Zhao?Liu Jiandong?Jia Zichang,Wu Zhongjian. Clinical research of preoperative risk assessment of lower limb arteriosclerosis. Chinese Journal of interventional Radiology.2014,3:2?1?:31-33. 12. WANG Lei, LIU Fu quan?YUE Zhen dong?Hong-Wei Zhao. Arterial embolization for traumatic renal hemorrhage .Radio Practice. 2013,3:28 (3)?352-355. 13. ZHAO Meng-fei, LIU Fu-quan, YUE Zhen-dong, Hong-Wei Zhao, WANG Lei, YAO Jian-nan. The risk factors of hepatic failure after transjugular intrahepatic portosystemic stent shunt forprimary hepatocellular carcinoma with portal hypertension. J Chin Clin Med Imaging. 2013, 24 (5):328-333. 14.WANG Lei, LIU Fu quan?YUE Zhen dong?Hong-Wei Zhao. Interventional treatment of hepatic artery stenosis after liver transplantation :early and mid-term evaluation.Radio Practice. 2012,10:27 (10)?1120-1123. 15. WANG Lei, LIU Fu quan?YUE Zhen dong?Hong-Wei Zhao. Experimental study on the establishment of portal hypertension model in swine liver cirrhosis by interventional technique .J Intervent Radiol 2012, 21 (9): 756-759. 16.Yao Jiannan,Liu Fuquan, Hu Zhiqiang, Yue Zhendong, Hong-Wei Zhao, Wang Lei,Du Hanping. Carotid angioplasty and stenting for extracranial carotid stenosis. Chin J Minim Invasive Neurosurg. 2012,4:17 (4):164-166. 17.Yao Jiannan,Liu Fuquan, MIAO Zhongrong, Hu Zhiqiang, Yue Zhendong, Hong-Wei Zhao, Wang Lei,Du Hanping. Safety analysis of stenting for extracranial carotid stenosis during the perioperative period. J Chin Clin Med Imaging. 2012,23 (4):267-269. 18.Yao Jiannan,Liu Fuquan, Yue Zhendong, Hong-Wei Zhao, Wang Lei, ZHAO Mengfei, Fan Zhenhua. Safety Evaluation of radiofrequency ablation for Hepatocellular Carcinoma:An Analysis of 729 Cases. Chinese Journal of Clinical Oncology. 2012,39 (7)?404-407. 19.Yue Zhendong, Liu Fuquan, Hong-Wei Zhao, Wang Lei, Wang Jianjun,Wang Wenxue. Interventional embolization treatment to advanced bladder cancer patients with acute massive hemorrhage. Journal of Clinical Urology . 2011,2:2 (26):155-156. 20. YUE Zhen-dong, Zhou Lei, LIU Fu-quan, Hong-Wei Zhao?WANG Lei. Clinical study of Addie injection combined with CT in the treatment of primary liver cancer. .Pharmacology and Clinics of Chinese Materia Medica. 2010,6?2?:77-79. 21.Yang Yongjiu, Hong-WeiZhao, Cui Hongli, An Hongcao, Li Huazhi, Xu Hongzheng, Liu Jiandong. Application of super selective catheterization in interventional therapy of advanced hepatocellular carcinoma. Contemporary Medicine. 2010,12:16 (35):713-714. 22. Yang Yongjiu, Hong-WeiZhao, Cui Hongli, An Hongcao, Li Huazhi, Xu Hongzheng, Liu Jiandong. Clinical study on the improvement of quality of life of patients with advanced hepatocellular carcinoma treated by super selective interventional therapy . Contemporary Medicine. 2010,10:16 (29):565-566. 23. Zhou Lei, LIU Fu-quan, YUE Zhen-dong, Hong-Wei Zhao?WANG Lei. Observation on the efficacy of systemic intravenous chemotherapy in the treatment of advanced non small cell lung cancer with bronchial artery infusion chemotherapy . 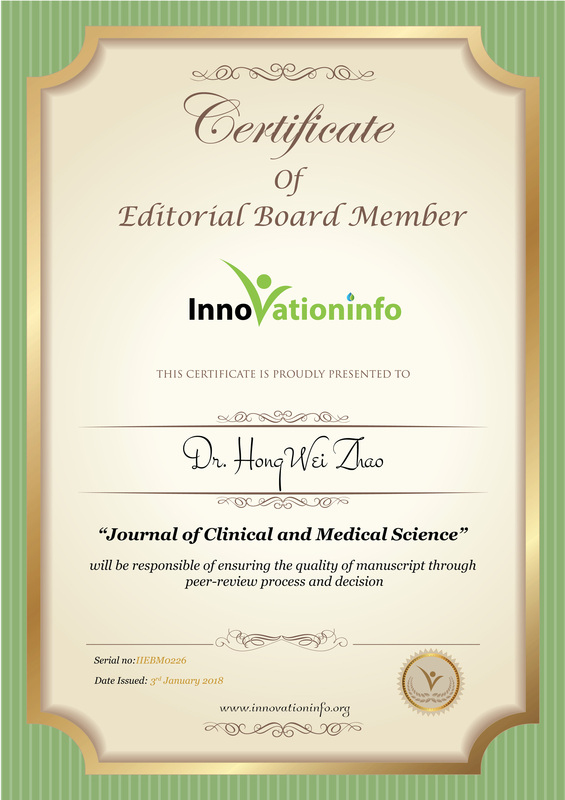 Shandong Medical Journal. 2010,50 (24):52-53. 24.Yue Zhendong, Liu Fuquan, Hong-Wei Zhao, Wang Wenxue. Efficacy and complications of bronchial arterial embolization with gelatin sponge in the treatment of massive hemoptysis . Beijing Medical Journal. 2008,30 (12):709-713. 25.Yue Zhendong, Liu Fuquan, Guo Shukui, Wang Wenxue, Wei Dongsheng, Hong-Wei Zhao. Treatment of 45 Malignant Gastroduodenal Obstruction with a Metallic Stent. Journal of Clinical Urology. 2007,34 (6):334-337.